The queen of the Travcotels fleet, this ultra sleek and modern Five-star vessel offers one of the most extensive on-board entertainment programmes of all our cruise ships and is designed to be ideal for couples, honeymooners, families and small groups. You can visit historic sites such as Luxor, Esna, Edfu, Kom Ombo and Aswan and return to the modern elegance and comfort of this floating hotel. Excellent dining, beautiful surroundings and an extensive programme of onboard entertainment will make your Nile cruise even more of a pleasure. That’s matched by unrivalled facilities including round-the-clock reception, international telephone and fax services (charged for use) and comfortable cabins. There’s even a full size billiard table in the sumptuous lounge as well as an on board bazaar and gift shop. Split over five-deck levels, the Lady Sophia creates the perfect ambience for you to relax and soak up the history, sights and sounds of Egypt. 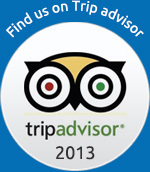 Relax on the extensive Sun deck or enjoy a dip in the pool. Take in the nightly disco and folklore performances in the lounge. 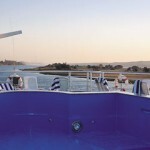 All this convenience, comfort and luxury makes the perfect floating Five-star Egypt cruise holiday. Cabins are a roomy 19 m ² while suites offer a generous 25 m² of space. The lower deck (1) features a restaurant, clinic and 8 double cabins and the same number are housed on deck (2) with the addition of 2 single cabins, reception and mini bar. 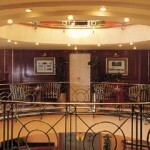 Deck (3) features 24 double cabins and 2 suites as well as a wine bar, reading room and billiard room. 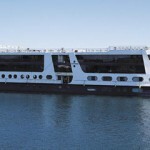 The upper deck (4) has 26 double cabins and a further 2 single cabins plus bazaars and a massage room. Private W/C, shower and hairdryer. The restaurant serves a mix of open buffet-style meals and set menus and accommodates the full complement of guests in one sitting. 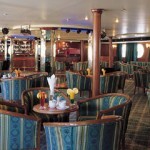 The spacious and luxurious lounge features elegant seating and a bar serving beers, wines, cocktails and soft drinks. The lounge also features a full size snooker/billiards/pool table. You could indulge yourself by the pool bar sipping refreshing drinks while admiring the view or working out with the fitness equipment available on the Sun deck. The swimming pool and pool bar are located on the large Sun deck that runs the entire length of the ship and you’ll find parasols, loungers and deck chairs together for your comfort and relaxation. 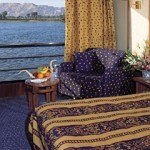 A gift shop and bazaar on board will supply souvenirs or you can indulge yourself in the beauty salon (open twice weekly in Aswan and Luxor). or pamper yourself in the massage room. Keep in touch with home through a chargeable international telephone and fax service or dance the night in the music performances held in the lounge.